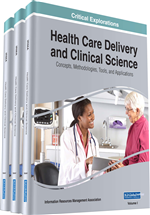 This chapter is engaged in identifying consumer perceptions regarding short message service (SMS) of the mobile phone as an alternative service delivery channel for Mobile-health (M-health) and studying the cultural impact of this change. In this connection, the Unified Theory of Acceptance and Use of Technology (UTAUT) model was used as the theoretical base to perceive consumer perceptions about M-health. The authors have performed an empirical study of diabetic patients in Bangladesh and Canada. Path analysis was conducted on the results of both samples. Analysis results confirmed that the UTAUT model fits quite nicely in predicting consumer perceptions of M-health-driven mobile technology. It also acknowledged that differences in cultural traits have an impact on consumer behavior.